Solar Roof Shingles | WASSER RESOURCES INC.
A unique, cost-effective and affordable building integrated solar photovoltaic roofing system that transforms the complete roof of a house into an effective power generation system. 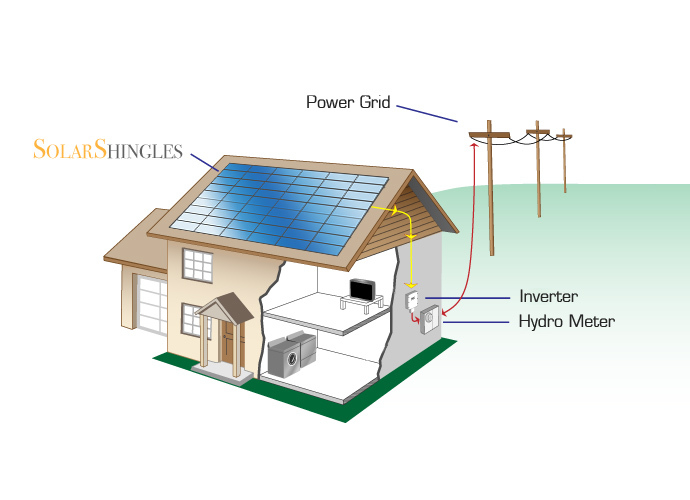 A standard Solar Shingle Canada PV system provides sufficient power to supply all the needs of a typical Canadian home. 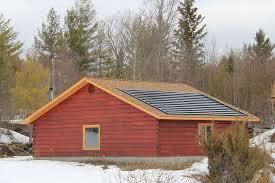 A Solar Shingle Canada system can help any off-grid house or structure to become energy independent. In addition, Solar Shingle Canada systems qualify for participation in the generous Feed-In-Tariff system administered in Ontario by IESO. • An attractive, cost-efficient, permanent alternative to traditional rack mounted solar panels. • Effectively generates sufficient power for a typical Canadian home. • Attractive design complements any house design or existing roofing finish. 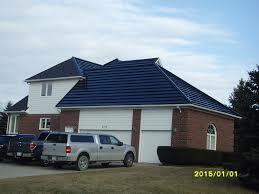 • Solid steel construction of roof shingles ensures that roofing will last for many years. 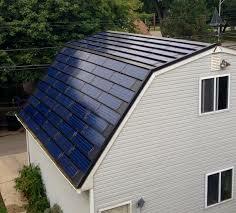 • Does not require expensive and unsightly solar panel racking system. • Produces power all year round even during Canada’s long cold snowy winters. • Produces large volumes of power with no ongoing energy costs – sunshine is free! • Reliable alternative to diesel power generation in off-grid locations. • Environmentally friendly, operates without generating any Greenhouse Gas (GHG) emissions. • Designed in Canada for years of continuous uninterrupted use in cold Canadian weather. • Transforms entire roof, or any desired section, into a power generator. • Can be installed on any pitched angle roof, which includes most houses, cottages and rural structures. • Unique modular design – can be shipped easily, and assembled wherever required. • Photovoltaic power is the ultimate in Green Energy – producing power directly from the energy of the sun. • High photoelectric conversion efficiency. • With the exception of final power connection, can be installed by any qualified roofing contractor. • Does not require any roof penetrations, minimizing the likelihood of roof leakage. • Smart ventilation system beneath tiles reduces summer heat build up. 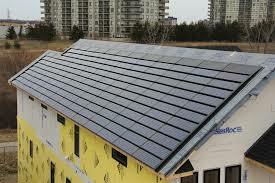 • Qualifies for Ontario government IESO Feed-In-Tariff 25 year financial program. • Trouble free supply of power for 25 year design life aligns perfectly with Ontario IESO Feed-In-Tariff. • By creating a Feed-In-Tariff government guaranteed house revenue stream, property value increases. • Bank financing available through financial institutions.